Wayzata's Mario Lucia had incentive to shine Tuesday. His father, Gophers men's hockey coach Don Lucia, and older brother Tony, a former Gophers captain, were at Hayes Arena in Apple Valley. "I guess I was trying to impress them a little," Mario said. Lucia had a hand in the top-ranked Trojans' first four goals in a 5-3 victory against No. 6 Apple Valley. Playing its fourth game this season against an opponent ranked in the top 10, Wayzata improved to 7-0. Lucia set up the Trojans' first goal with masterful stick handling and a pass for teammate Tony Cameranesi to bury at 6:46 of the first period. Apple Valley answered on a goal from Tate Erickson later in the period, then went ahead 2-1 when Kris Goodman scored just 1:08 into the second period. 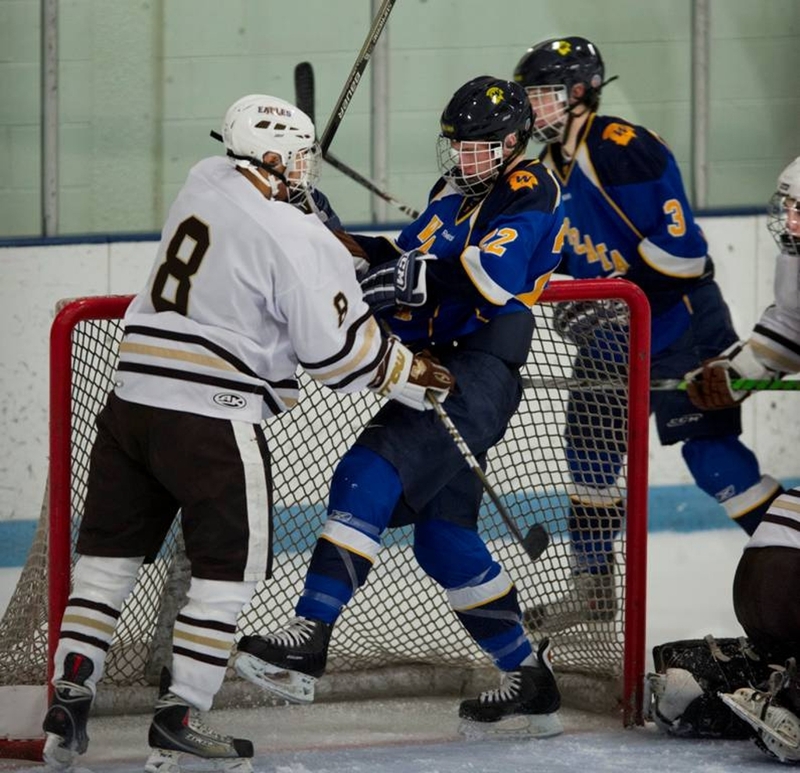 "You could see they were starting to take control," Wayzata coach Carl Davis said of Apple Valley (3-2). "But it was nice to see us respond." Two goals from Lucia just 47 seconds apart gave Wayzata a 3-2 lead late in the second period. The Trojans have outscored opponents by a combined 28-6 in the first two periods this season. "It's always important to try to win the first period, build momentum and then keep your foot on the pedal," Lucia said. A power-play goal from Marc Richards just 25 seconds into the third period gave Wayzata a 4-2 lead. But Apple Valley came back with Erickson's second goal of the game 49 seconds later. The Trojans restored the two-goal advantage on Kage Tiller's power-play goal. Apple Valley's standout forwards A.J. Michaelson (no points) and Hudson Fasching (two assists) were held in check.